The Ink Trap: Hot Java Mamas by Art Impressions! Hey, all! Today I'm sharing this card on the Ai Blog. Be sure and stop by daily for inspiration from the design team, contests, and general awesomeness! 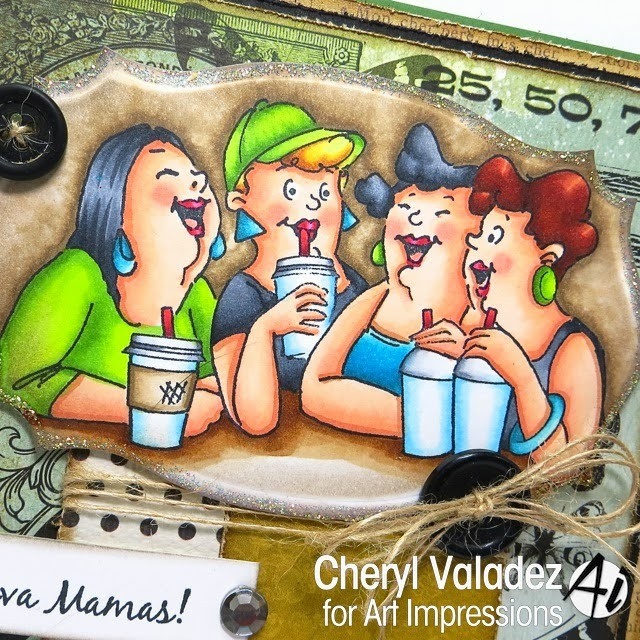 These Hot Java Mamas are from the Girlfriends Blend set which comes with 3 (count 'em! )...3 fabulously hilarious sentiments! It's a perfect set to create cards for all the coffee lovers in your life. Find it in the Ai Shop and be sure to take a look around while you're there, because there are tons of wonderful images to see! This is the first of 2 posts I'm putting up today, so pop back in to see another card in a couple of hours! What a fabulous card and am loving this image!! this is gorgeous Cheryl also your card above..